Accommodation for 10 nights with daily buffet breakfast. Transfer from the airport and accommodation in the chosen hotel. 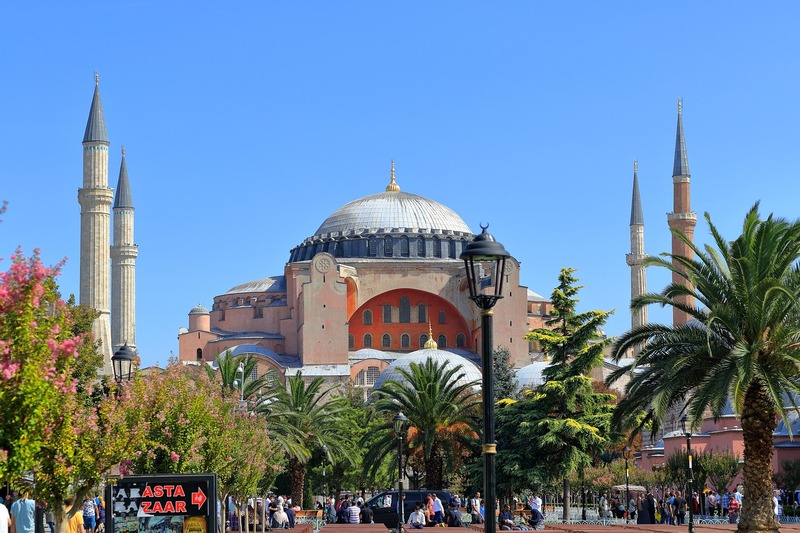 Panoramic city tour of Istanbul – the Egyptian Obelisk, the Blue Mosque, St. Sofia Church, Sultan’s Palace Topkapi, the famous Grand Bazaar (or Covered Bazaar, Kapalıçarşı in Turkish) and the Egyptian Market (spices and other goods). Dinner in local restaurant and overnight. After breakfast – transfer to Bulgaria trough Malko Tarnovo border point. Visit the Ropotamo Reserve – one of the most exotic places at the Black sea coast of Bulgaria. Row with a boat down the Ropotamo River to it’s mouth at the sea – possibility to meet wild animals, unique rock figures, rare plants. This short voyage is a real treasure for the photo-hunters. Arrival in Burgas. Dinner in local restaurant. Overnight. After breakfast – departure to Nessebar, which exists as a settlement and ancient harbor since the 5th century BC. Nowadays the city is under a protection of UNESCO. The atmosphere is very pleasant with the old architecture of the houses, the romantic narrow streets. Sightseeing tour of the Ancient town of Nessebar with visit of some of the most remarkable churches from Middle ages. Departure to the Bulgarian sea capital, Varna. 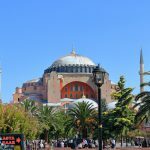 Panoramic tour around city, with visit to the Archeological museum, where the oldest processed gold in the world is stored. In the afternoon – a trip to Balchik, also called “The White Town”. Visit the summer residence of the Romanian Queen Maria and the Botanical garden, with more than 3000 species of plants. There are also about 250 species of cactuses. The Botanical garden is the second largest garden in Europe. After breakfast – departure to the Rusenski Lom River Valley. Visit Rock Churches of Ivanovo (XII-XIV c) – an UNESCO object, famous for its unique frescoes. Set off to Ruse – the first Bulgarian city with European appearance, also called the “little Vienna”. Panoramic tour around Ruse: the Monument of Liberty, the Pantheon of National Revival Heroes, Dohodno Zdanie Building, and etc. After crossing the Danube river we will reach the Romanian capital Bucharest. Dinner in local restaurant. Overnight. After breakfast – a city tour of the Romanian capital with visit the Palace of the Parliament (the second largest building in the world after the Pentagon in USA), the Royal Palace, the University’s Library, the City-Hall, the Village Museum and other interesting sights of the city also called “the little Paris” because of the similar architecture style of the buildings. Afternoon free at leisure or for further exploring the city on your own. Dinner in a restaurant with typical local dishes and folklore program. After breakfast – departure to the mountain resort Sinaia, also called “the Pearl of the Carpathian Mountains”. 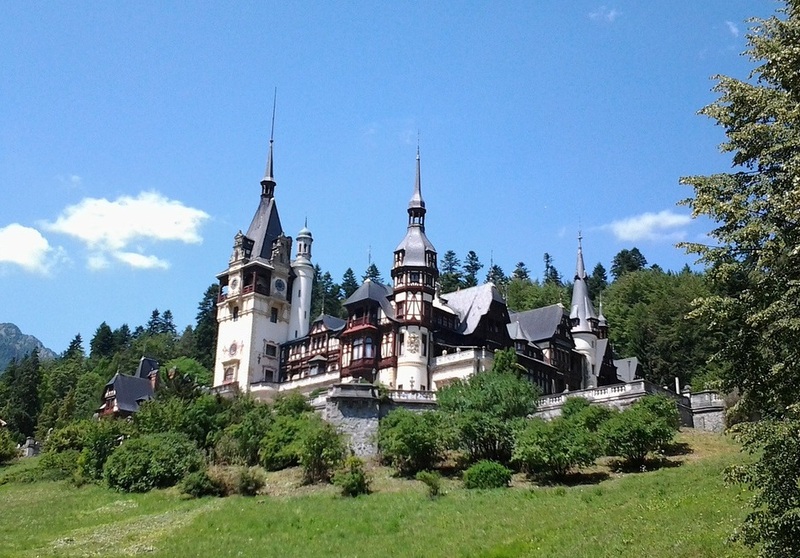 Visit to the Peles Castle, constructed in 1873 as a summer residence of the Romanian royal family. You can see a rich collection of old furniture, carpets, weapons and armors. Departure to Bran village, where the world famous Dracula castle is located. 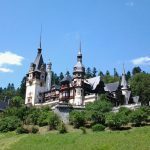 It is the most curious part of the trip in Romania, which attracts thousands of tourists from all over the world. In the later afternoon – drive to the medieval town of Brasov. Sightseeing tour of the really good preserved historical city center with the big square, the old city-hall and the Black Church – the main Gothic style monument in the country. Return back to Bucharest in the late afternoon. Dinner and overnight in the hotel. After breakfast – departure back to Bulgaria to visit Arbanassi village, famous for its ancient rich decorated churches and magnificent architecture. It used to be a residence of the Bulgarian kings. Next is Veliko Tarnovo – the old capital of Bulgaria. Visit the historical hill Tsarevets with the Fortress, the Patriarchal church, the Emperor Baldwin’s Tower and the newest Museum of wax figures. Free time for walk along the old crafts street – “Samovodska charshia”. After breakfast – departure to Kazanlak – the capital of the Rose valley. The road to Kazanlak passes by Shipka peak, where is situated the monument of the Bulgaria’s liberators from the 19th C. There is a wonderful view to North and South Bulgaria from the monument’s top – over 1100 m above sea level. You will learn more details about the crucial battles, which changed the course of the Russian-Turkish war in 1877-78. 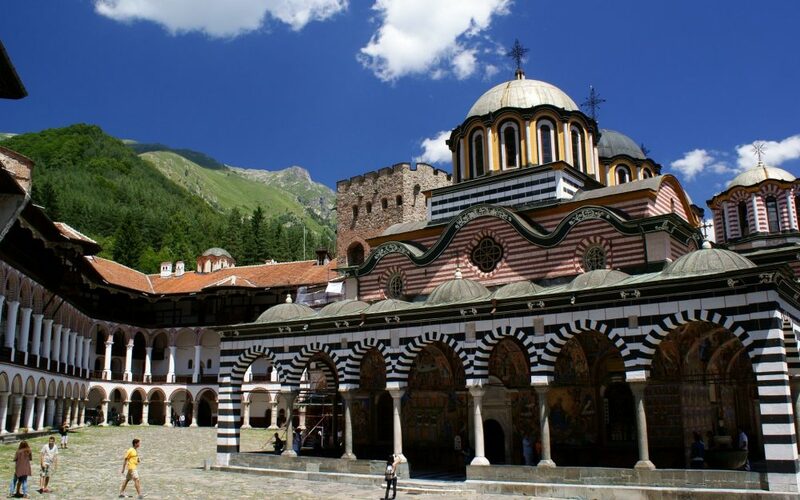 On the way to Kazanlak, in the village of Shipka we will visit the Russian church, where concerts with Church Slavonic music are often performed. The sightseeing tour of Kazanlak includes the UNESCO listed Thracian Kazanlak tomb (replica) dating back to the 4th c. B.C., and the Historical museum, where the recently discovered gold and bronze treasures from the Valley of Thracian kings are displayed. Departure to Skobelevo village to visit the Ethnographical Complex “Damascene”. It works as a family run rose distillery, where the hosts will demonstrate how the famous Bulgarian rose oil (used in the perfumery) is produced. Late in the afternoon – a drive to Sofia. 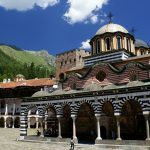 After breakfast – panoramic tour around the Bulgarian capital and visit to the most interesting historical sights: the Alexander Nevski Cathedral, the St. Sofia Church, which had given the name of the city and the historical and cultural center of the capital. Free time for shopping or for further exploring the city on your own. In the afternoon – we will reach Plovdiv – the city of the seven hills, built in IV centuries before Christ from the King Philip of Macedonia. Nowadays it is administrative centre of Plovdiv Province in southern Bulgaria, as well as the largest and most important city of the historical region of Upper (or Northern) Thrace, famous for its ancient and diverse culture and millennial history. Plovdiv is one of the oldest cities in Europe. It is a contemporary of Troy and Mycenae, and older than Rome, Athens, Carthage or Constantinople. In Plovdiv we will see the old town with the Antique theatre, the oldest church in the city which took name of the Roman emperor Constantine the Great and his mother Helena, the ancient fortress at the time from Philip II of Macedon and Alexander the Great, the Roman stadium, as well as some of the most luxury homes for the Renaissance which were owed by rich citizens of Plovdiv. Dinner in local restaurant. Accommodation and overnight in the chosen hotel. After breakfast – transfer to Istanbul. Optional: Boat trip along Bosporus – border of two continents.